You can spend weeks looking forward to a weekend trip and still find yourself the morning of with an empty duffel bag. If anything, packing for a short trip is harder than a long trip, in those few days you can imagine any number of scenarios that could call for more than what you’ve got in your backpack, but at the same time, no one wants to be the over-packer of the group. Whether you’re a last minute packer, or you had your clothes set out and folded the week before, there are essentials that stay the same across the board. You know what kind of clothes to pack for where you’re going, whether it’s the beach or helping a friend move to Charlotte over the weekend. Packing layered outfits can give you more options to mix up outfits with limited space and keeps you covered if the weather changes. You’ll only need enough socks and underwear for each day you’ll be gone, and one pair of pajamas can last your whole trip. Practicing good folding skills can help you to fit a few extra things in your bag, too. Whatever the destination is, you’ll want to have one good, comfortable pair of shoes, one that you can wear for each day of the trip to save space if you’re lucky. Most people will probably realize soon after leaving the house if they forgot their phone, but some smaller things might take a little longer to notice. Forgetting a phone charger can really mess up a trip if you’re depending on a phone for directions, so be sure to triple check for that before you leave. It doesn’t hurt to have headphones for the long drive if you want to throw on some music or a podcast without bothering the rest of the car. Who doesn’t love shopping for travel size shampoo bottles? You could also opt for reusable bottles you can bring back for any future trips and save money over time. No one wants to end up having to borrow everyone else's body wash and deodorant. If there’s one thing above all else that you don’t want to leave behind, it’s medications, but something so small can be so easy to forget. Having something to treat motion sickness on hand can make all the difference for those prone to car sickness. Depending on where you’re going you might want to toss in some products like bug spray or sunscreen if you’ll be outdoors often. Even if you’ve got every meal planned out ahead of time, being in the car for a while can take a lot out of you, and you don’t want to be starving and stuck on the highway. A few bottles of water and some snacks that are hopefully won’t leave crumbs all over your car can make long car rides a little less daunting. 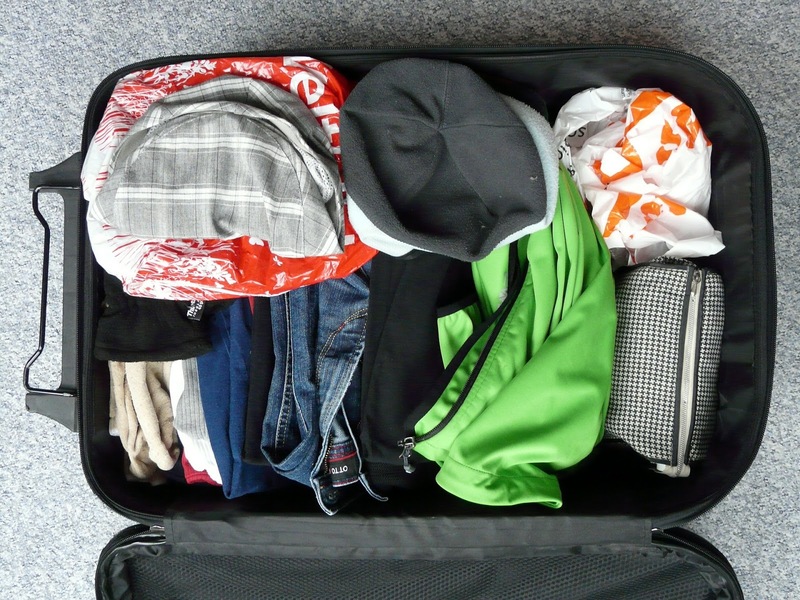 Efficient packing for a quick trip can be an easily learned skill. Setting aside less than a half hour to really think about what you normally use in a day can help you make sure that your trip will run smoothly.